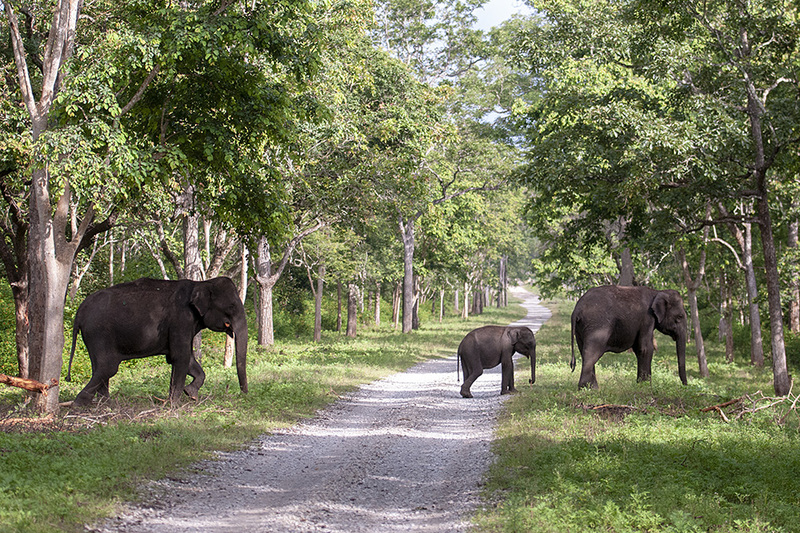 On this safari into the Kabini backwaters, we drove on the abandoned stretch of MM Road, which has been blocked off for many years given that wildlife criss-cross this road as they go back and forth from the Kabini Backwaters. 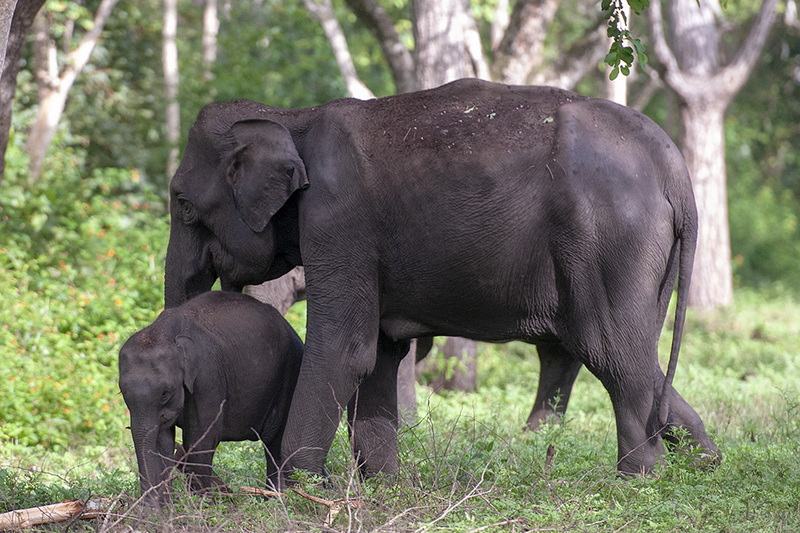 First, we encountered a Macana or tusk-less male Asiatic Elephant. 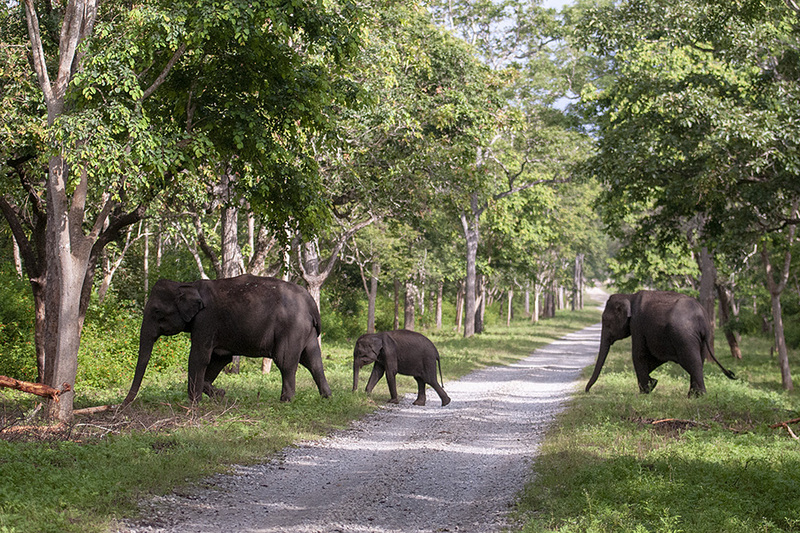 We immediately stopped in our tracks and maintained a safe distance, given that these Elephants are known to charge tourist vehicles. 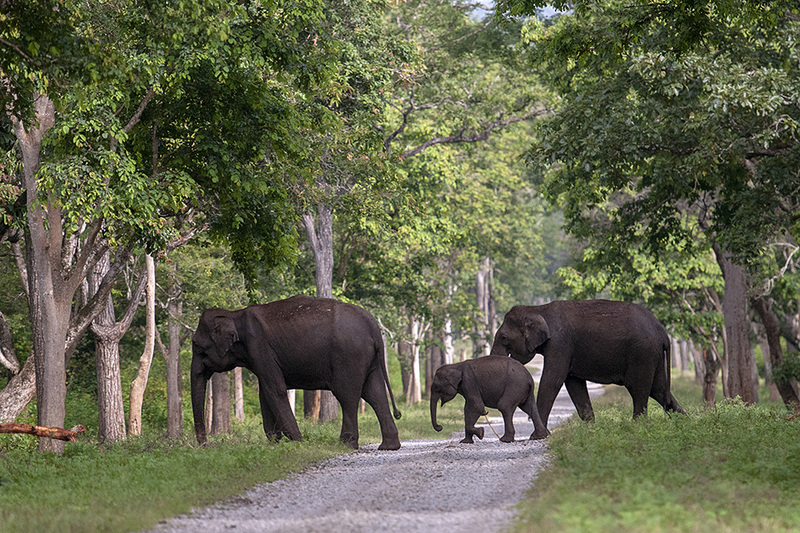 Once he crossed over, we proceeded forward and were pleasantly surprised to spot a couple of more Elephants, along with a young calf. On seeing our vehicle, they quickly moved over to one side of the road. Finally they got comfortable with our vehicle. To our pleasant surprise, the trio of Elephants came over to the tree fallen by the roadside and started stripping and feeding on its bark. The young calf was given a tutorial on how to strip the bark off the tree, while we watched in awe. 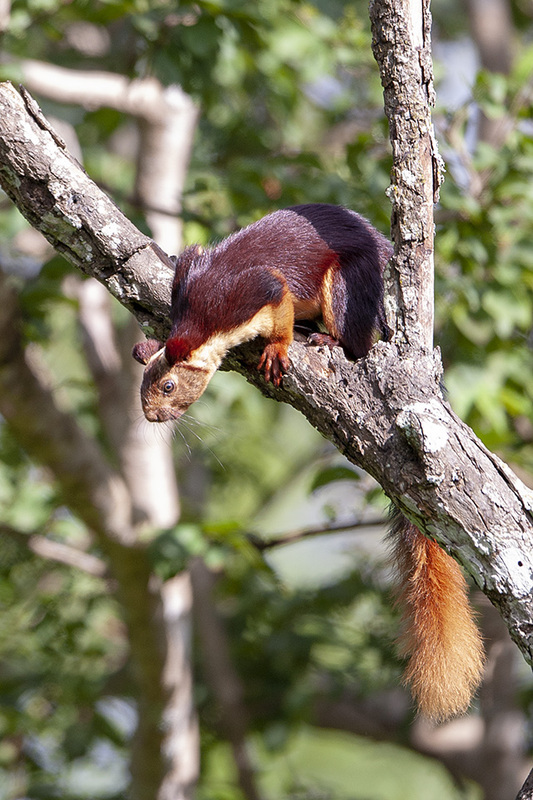 As we traced our way back to the beginning of MM road, we spotted a Malabar Giant Squirrel sizing up the distance between two trees in preparation of a long jump. 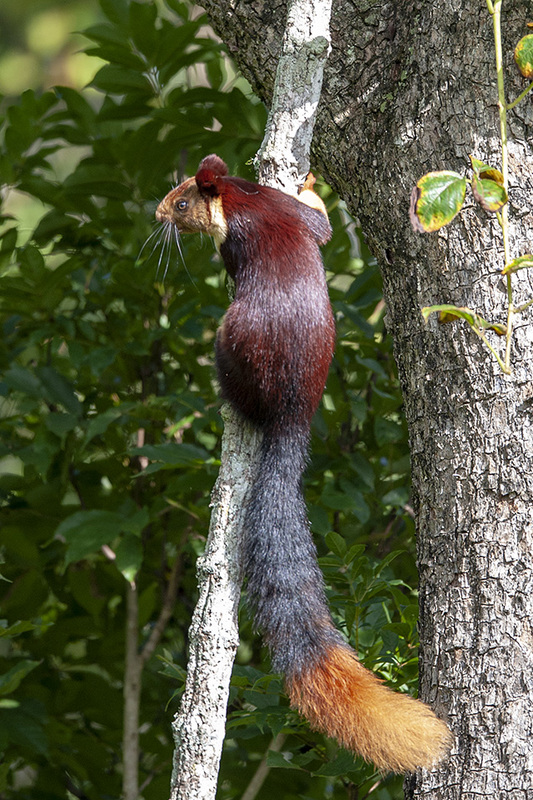 While I missed freezing the Squirrel in the midst of its jump, I was successful in getting both the pre and post jump stances. 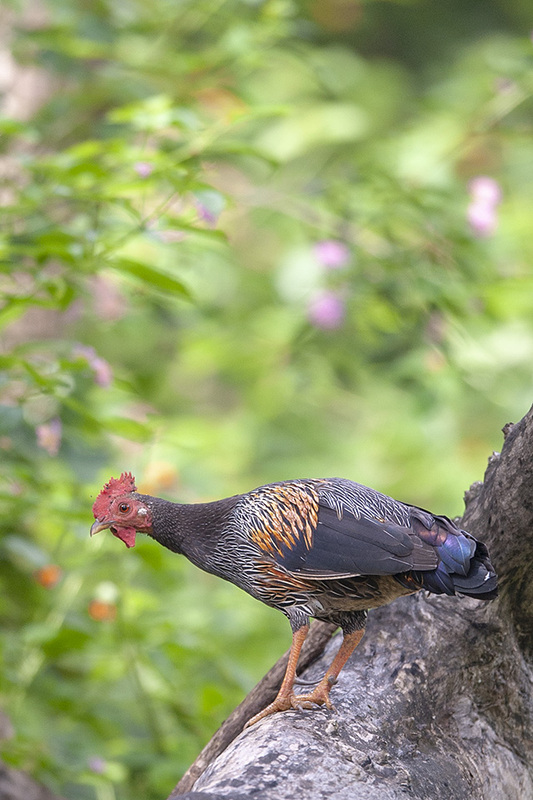 We also managed to freeze frame this unsuspecting Grey Junglefowl as it was sunbathing on a dead tree trunk. Check out the huge talon on its left leg, used to fed off potential threats to territory and mating rights.